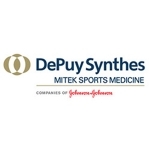 Dr Li has been invited by Mitek Sports Medicine to present his surgical case and techniques on “Arthroscopic Bony Bankart Repair using a Double Row Suture Bridge Technique” to over 30 top Chinese surgeons in Beijing and Shanghai via the first Mitek Global Connect event. Location for the event include Raynham (MA), Beijing Hospital 301 (Military Hospital), Beijing Hospital #3 (Beijing University), and Shanghai Huashan Hospital (Fudan University). Obesity does not significantly impact short-term complications, outcomes. Dr. Li has been featured in over 350 online newspapers and newslinks including Yahoo.com, Reuters, Boston Globe, ABC news, CBS News, AAOS, etc. for his research on the functional outcome after total shoulder replacement surgery and obesity. Dr. Li says, “Our study found that with short-term follow-up, obesity does not have a detrimental effect on functional outcomes and complication rates in patients after TSA,” said orthopaedic surgeon and lead study author Xinning Li, MD, Assistant Professor at the Boston University School of Medicine and Boston Medical Center. Dr. Li presented his research on the podium of the Eastern Orthopaedics Association (EOA) meeting in Miami, Florida. His project is titled “Does the use of an inferiorly offset glenosphere in reverse shoulder arthroplasty reduce scapular notching? A radiographic and functional outcome analysis”. Dr. Li was invited to teach a shoulder and elbow cadaver course at the Sports Medicine North Facility in Peabody, MA. This course is designed to teach other orthopaedic surgeons the skills and technical pearls to do a total shoulder and elbow replacement. 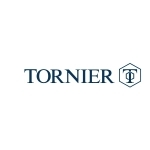 For more information on Tornier, visit http://www.tornier-us.com. 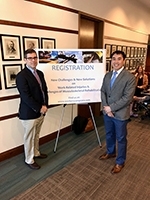 Dr. Li presented several posters at the CORS meeting including topics from an in depth analysis of the epidemiology and complications after total ankle and elbow replacements from a national in-patient database. In addition, Dr. Li presented recent clinical and radiographic data on the reverse shoulder arthroplasty and inferior scapula notching using an eccentric glenosphere. Other projects included the evaluation of the glenoid density with microCT imaging and the association of hip range of motion and injury in professional baseball players. Functional outcome after total shoulder arthroplasty in the obese patient population. A prospective study with greater than 2 years of follow up. 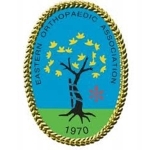 Dr. Li presented this study on the podium at the Eastern Orthopaedics Association meeting in Bolton Landing, NY. Evaluating the effects of obesity on patients after total shoulder replacement, Dr. Li found that obesity did not have a detrimental effect on the improvement of short-term shoulder function. Dr. Li was chosen by the AAOS/OREF/ORS to participate in the prestigious 2011 Clinician Scholar Development Program in Rosemont, IL. 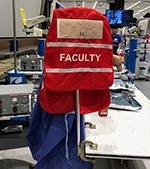 He was one of the top ten applicants selected for this conference out of hundreds of applicants (Orthopaedic Surgeons) from across the United States. The mission of the CSDP is to “develop a cadre of orthopaedic clinician scientists who will lead the research efforts to find new methodologies to treat and cure orthopaedic related illnesses and injuries. 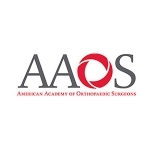 The AAOS/OREF/ORS CSDP is a first step in the career path for clinician scientists. This program offers the orthopaedic profession a new source of clinician scientists engaged in research that advances orthopaedic surgery and musculoskeletal medicine. 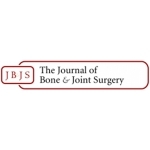 Evaluation of sterilization technique following contamination of Anterior Cruciate Ligament hamstring autografts. Dr. Li presented this study on the podium of the EOA meeting in Williamsburg, VA. Dr. Li and his colleagues evaluated several sterilization methods following contamination of hamstring autografts during ACL reconstruction and found that using either a 4% chlorhexidine or bacitracin solution resulted in a significant decrease in the positive bacterial cultures. Dr. Li has been appointed as the Assistant Team Physician for the New York Mets professional baseball team for the 2011 to 2012 season. His responsibilities include evaluating and treating professional baseball players from the Single A League to the Major Leagues. Dr. Li was with the NY Mets team during spring training in Port St. Lucie, Florida.